CAN THE WORLD FIGHT CLIMATE CHANGE IN THE ERA OF TRUMP? OBAMA’S SCIENCE ADVISER THINKS SO. | "Global Possibilities"
Home » Climate Change » CAN THE WORLD FIGHT CLIMATE CHANGE IN THE ERA OF TRUMP? OBAMA’S SCIENCE ADVISER THINKS SO. CAN THE WORLD FIGHT CLIMATE CHANGE IN THE ERA OF TRUMP? OBAMA’S SCIENCE ADVISER THINKS SO. 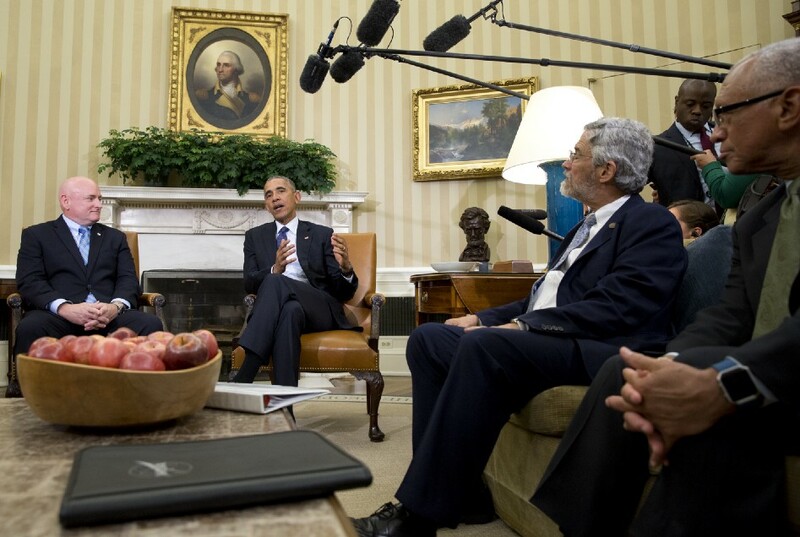 Dr. Holdren weighs in on climate science, denial, and why every president needs a science adviser. When asked what has kept him in his job for so long, the longest serving presidential science adviser in history answered without hesitation. 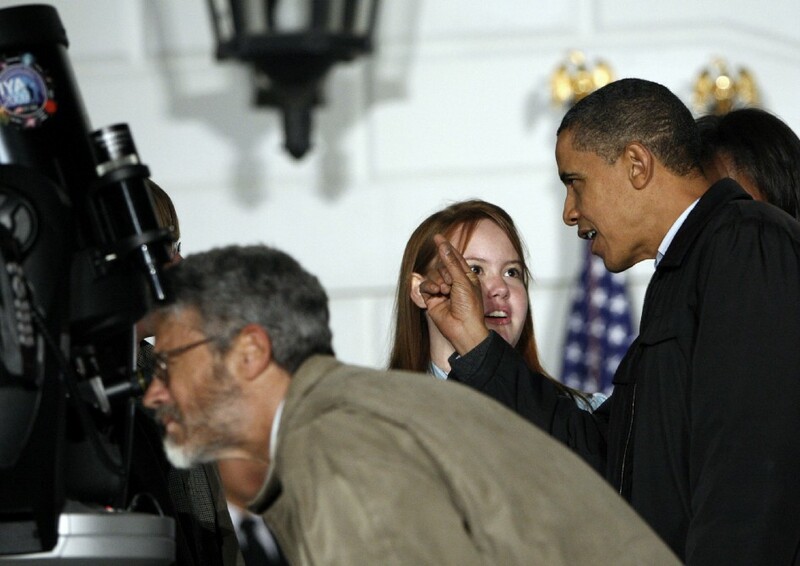 Holdren was clear that the man in the Oval Office, that man’s respect for science and innovation, and his desire to elevate those fields across government all made the past eight years a once in a lifetime opportunity. “I would not have jumped off this ship for anything,” said Holdren. Trump has already amassed an alarming number of people who reject the scientific consensus regarding climate change, have deep ties to the fossil fuel industry, and are quite clear regarding their intent to undo or weaken the Obama climate legacy. His transition team has asked the Department of Energy to name staff who worked on Obama administration climate policy, and pressed the State Department about its international environmental spending. In the face of this dramatic shift, the scientific community is bracing itself for an administration that could be dismissive, or outright antagonistic, towards science — some are even going as far as to copy government climate science data on independent servers to ensure its preservation. 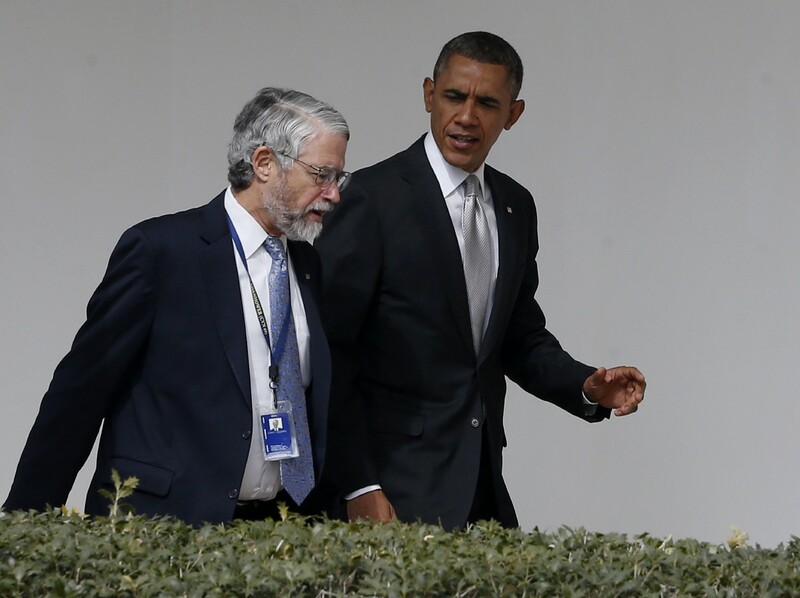 Holdren is nevertheless optimistic that the forces moving the world toward progress on climate change are stronger than the pull of denial, and that the advancements made in the past eight years will serve as building blocks rather than targets. While as a political appointee he’s prohibited from discussing the policies of the president-elect, he had a lot to say about climate denial, the importance of his position, and where we go from here. Read on for the highlights from our recent interview. So much of what you were able to accomplish seems driven by a president who really prioritized science and gave it the funding and attention it deserves, so what happens to all of these initiatives moving forward? I can’t speculate about the next administration but I will say this: First of all, the issue of addressing the climate challenge should not be a partisan issue. It’s about the economy, public health and well-being, national security — these are not fundamentally partisan issues, so one has to hope that that will increasingly be recognized. The second thing I’ll say is that a lot of the progress is being driven by forces that are not fundamentally policies of the federal government. I think the two biggest drivers of progress on climate change around the world today are that the symptoms of climate change, the damages from climate change, are becoming ever more apparent. And the opportunities to do something are also growing — in substantial part because clean energy is getting cheaper. That’s going to be extremely important moving forward, regardless of what government policies do or don’t materialize in the United States. If the U.S. is no longer at the forefront pushing climate commitments at the international level, is it your sense that China is going to step up? Are there other countries you’re looking to? Let me be clear, I very much hope the United States will continue to carry out these forward-leaning actions to reduce emissions and build preparedness and resilience, because I think it makes great sense environmentally and economically. But if we don’t, I do believe most other countries will continue with their efforts in this domain because, again, they understand it’s in their interest to do so. China’s already stepping up. But I don’t think for a minute that if, for one reason or another, the U.S. reduced its level of activity in this space, that China would reduce its [activity]. I expect that the European countries, who are themselves experiencing the impacts of climate change, will stay the course; I think Canada will stay the course; I think many of our friends in Latin America will stay the course; I think India will stay the course. Everybody is suffering from climate change, and no matter how much hand-waving a few folks may want to continue to do about how it’s not all proven, the fact is everybody around the world now understands that it’s real, that human activities are causing it, and that aggressive action is required to fix it. You mentioned your belief that several major countries will continue to stay the course on climate action. Can you talk about the course we’re on globally? Obviously, the Paris agreement was a significant achievement, but how do you view that in terms of what we need to be doing to stave off the worst impacts of climate change? First of all, as you know, it’s not enough. Everybody who looks at this problem realizes Paris is a down payment on a longer term strategy to reduce emissions much more drastically. By the end of this century, we have to be at zero emissions; in fact, we should be at zero emissions, net, before the end of this century if we want to avoid the most catastrophic consequences of climate change. The key point about Paris, really, is that it is the biggest step in the right direction the world has ever taken, and it was taken it much later than those of us who watch this problem closely would have wished. After 2030, when the most far-reaching of the Paris targets occur, we’re going to need a very powerful encore; we’re going to need much deeper reductions going forward, we’re going to need better technologies to do it. One of the things I’ve found a little irritating about the climate science discussion over the years is the discussion about when will we reach dangerous human interference in the climate system. I think it’s very difficult to argue climate change isn’t already dangerous. We’re not really in the business any longer of trying to avoid dangerous climate change — we’re already in dangerous climate change. We’re trying to avoid catastrophic climate change and I think it would be better to be clear about that. I know you can’t speculate on the incoming administration, but it’s my sense the tide was turning over the past few years to make it less acceptable for a public figure to deny climate change. What is it about climate denial that makes it so difficult to overcome? I think it’s a misconception that’s driven a lot of the expressions of doubt about the science — that folks don’t want to accept the science because they think accepting it is tantamount to accepting a draconian regulatory regime on our energy choices. The reality is that there are many ways to skin this cat, as economists from all parts of the political spectrum tell us the most efficient ways to reduce greenhouse gas emissions would be a market-based approach, putting a tax on carbon emissions that could be offset by reductions in other taxes. If you accept the science, you might prefer to accept a carbon tax or a cap-and-trade approach, which does more or less the same thing under different administrative arrangements. Either can be adjusted over time to get the emissions result that you want. And that’s basically a market-based approach rather than a regulation-based approach; it should make Republicans happy. I’m sure you’ve seen the various efforts to sell Republicans and conservatives on the solutions — clean energy, even a carbon tax — without emphasizing or asking them to accept the climate science component. Do you think that can work? I think ultimately we will not do enough without accepting the reality of climate change and the need to address it in a more serious way going forward than we have in the past. We will do a lot of things that go in the right direction based on market forces alone — as I noted before, basically, clean energy in many of its manifestations is getting cheaper. But I don’t think the market alone, without a price on carbon or its less efficient equivalent in a regulatory approach, will get us as far as we need to go. In light of the reports regarding the fear in the scientific community about a potentially hostile environment ahead, what is your advice for scientists trying to preserve their ability to do their jobs? The notion that this is a matter of belief rather than respect for the conclusions of an expert community — this is not a matter of belief. Climate change doesn’t care whether you believe in it or not. It’s going to keep going. In terms of big signs of climate disruption, what’s happening in the Arctic is one of the most alarming stories of the year. Can you talk about that, and any other major signs you’re following? The Arctic is not only experiencing climate change much more rapidly than the rest of the world, but the consequences don’t stay in the Arctic. As we thaw permafrost, we are increasing the release of carbon dioxide and methane from the decomposition of organic matter. Wildfires in the Arctic are burning unprecedented areas; even the tundra is burning now. Sea level rise, combined with loss of sea ice protection from waves, is causing drastic coastal erosion around the Arctic, and the mainly indigenous peoples who live in villages on the vulnerable coastlines are in many cases having to relocate. I will tell you now from rather extensive experience meeting with the people who live in the Arctic, there are no climate deniers up there. There are some other things that are starting to get the attention they deserve. One is wildfires; there’s really an extraordinary story, and a very dangerous one going forward. A second is the danger from extreme heat, and the circumstance that there are parts of the world where, already in the hottest months, in the hottest parts of the year, it’s not possible to work outside without dying because of the heat stress. You’re seeing larger and larger areas of the world, as we’re moving further into this century, where it’s going to be impossible to do outdoor labor for much of the year. This is really a stunning result. The other one that I think is helpful in explaining to people that, despite the complexity of this system, there are certain things that can be understood in pretty intuitive terms, is the relationship between warming and torrential downpours. That was long predicted, but we’re now seeing these increases in torrential downpours and associated flooding across much of the world. People who have experienced flooding of a sort that never previously occurred in their lifetime are generally not among the deniers. As you’re reflecting on your legacy and work, can you tell me why, from your perspective, it’s important for a president to have a science adviser and receive objective scientific advice? First of all, the president needs a source of science and technology advice that’s independent of the agendas of individual departments and agencies. It’s very important that there be somebody close enough to the president to tell him or her scientific and technological insights that may not agree with the prior preferences of the president. Being able to work for this president on these issues has been the highlight of my career, and I expect that a lot of what we have done will survive as building blocks of progress going forward.